There are but a few managers in independent baseball history who can claim that they have won 1000 games. 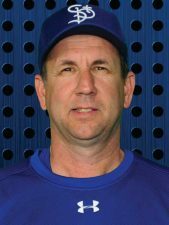 That includes Gary Southshore RailCats Manager Greg Tagert, who reached the mark three seasons ago. Also on the list are Chicago Dogs manager Butch Hobson and former Fargo-Moorhead RedHawks Manager Doug Simunic, but now St. Paul Saints Manager George Tsamis can add his name to that list after his team earned a 6-5 victory over the Fargo-Moorhead RedHawks on Tuesday night. That made the Saints skipper the fourth independent manager to reach the feat. As a professional, George Tsamis began in the Minnesota Twins organization in 1989. He would spend four seasons in the minors before reaching the Major Leagues in 1993. 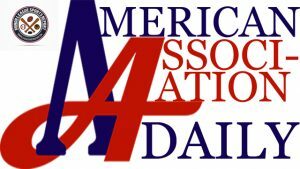 He would spend two more seasons in affiliate ball before moving to the Northeast League in 1995. That began a career in independent ball that would see him pitch two games for Waterbury in 1998. While 1998 was his last on the mound, it was not his last on the diamond. In 1999, George was offered the managerial position with the Waterbury Spirit, a position he would serve in for two seasons. His first victory came in the opening series for Waterbury and he would finish 36-50 that season. A year later, the team improved four games, going 40-46. George would move on after two seasons, compiling a 76-96 record. In 2001, George Tsamis took the job as the New Jersey Jackals (Northeast League) manager. He would spend two season there, posting a .500 record in 2001 (45-45), but the following season would be a breakout effort, as New Jersey went 62-27. In both of those seasons the Jackals won the league title, and it was clear that the Skipper was destined for something bigger. 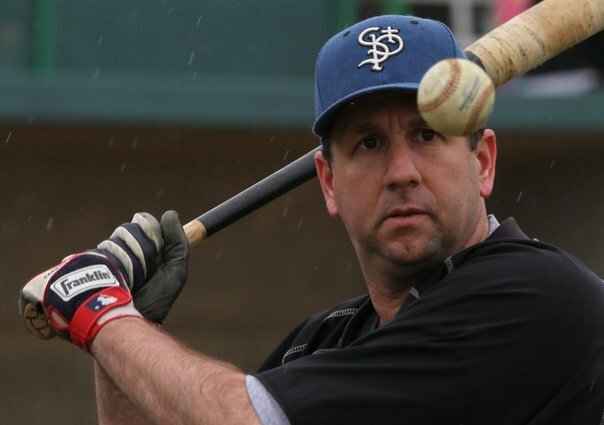 In 2003, George Tsamis was named the manager of the St. Paul Saints. He would take the team to the playoffs in 2003 and, the following season, St. Paul would win the Northern League championship. Those first two seasons started a run where the St. Paul Saints won at least 52 games in five straight seasons. That included a 61-win year in the championship season. They won a combined total of 269 his first five years in St. Paul, giving him 452 wins through his first nine seasons. The Saints made the playoffs in each of his first five seasons as the St. Paul Skipper, but 2008 began a few leaner years. The Saints won 136 from 2008-2010, but rebounded in 2011 to win 52, making the playoffs again. From 2012-2014, St. Paul combined to win 147 games. In 2015, the St. Paul Saints moved into CHS Field and it was a historic season for the team. The Saints won 74 games, second most in American Association history and the team made the playoffs. The following season, the Saints were tied for the top record in the league, winning 61 games. The two year run of 135 victories was the second highest consecutive season total in league history (2013-14 Wingnuts won 141 games). Last season, St. Paul won 48, leaving George Tsamis 16 victories short of 1000 entering the 2018 American Association season. The Saints would lose the first game of the season, then win six straight, moving him to just 10 back. The Saints headed to the road, where they would go 4-3 through Texas, then headed to Wichita, where St. Paul became the first visiting team to sweep a series against the Wingnuts in Wichita in the franchise’s history. That gave George 997 wins. The Saints returned home where they would take two of three from the Sioux Falls Canaries before falling Monday night to the Fargo-Moorhead RedHawks. That brought Tuesday night’s game, where St. Paul would fall behind 5-2, before scoring the final four runs of the game to win 6-5. That earned the Saints skipper win No. 1000. In two seasons at Watebury, George Tsamis was 76-96. He would go 107-72 in New Jersey. Since then, George has won 817 games with the Saints in his 20 seasons with the team. The team that has suffered the most defeats to a Tsamis team is the Sioux Falls Canaries, who he has defeated 127 times. The Sioux City Explorers are second at 116, and the Fargo-Moorhead RedHawks, the team St. Paul defeated for win No. 1000, have lost 67 times. There have been a number of players who have helped to make those 1000 victories possible. RHP Charlies Ruud made the most starts, starting 79 games (2005-09). Robert Coe (2011-12, 14-17) has pitched the most innings (518.2) and won the highest number of games (43), and Chris Chavez (2003-04) saved the most games (51). Mark Hamburger has the most strikeouts (335) and complete games (19). Ole Sheldon (2009-13), currently the team’s hitting coach, has the most home runs during the tenure of Tsamis (67), and he has the most RBI (271). Brent Krause has the most hits (411), doubles (97), triples (13), and runs scored (233). Adam Frost (2011-13) has the most stolen bases (93). Wednesday afternoon George Tsamis will be looking for win No. 1001. Let the 2000 win watch begin.